Real Madrid are keeping tabs on Marcus Rashford, and are weighing up the possibility of signing him, as per reports. Having made a brilliant start to the season, when he was deservedly Jose Mourinho’s first choice ahead of Anthony Martial, the Englishman’s form soon tailed off, and he was subsequently dropped. Martial’s improvement and consistency, coupled with the arrival of Alexis Sanchez in January, have not helped Rashford’s cause either. Hence, rumors have started to grow, claiming the 20-year-old is ‘disillusioned’ with life under Jose Mourinho. Moreover, Spanish news outlet Sport has claimed that the youngster is eager to prove himself away from the Premier League. The same source also claims that Real Madrid are genuinely considering a move for Rashford, as part of a major summer spending spree. Club’s president Florentino Perez is determined to breathe new life into his ageing side, and is on the lookout for pacy youngsters. 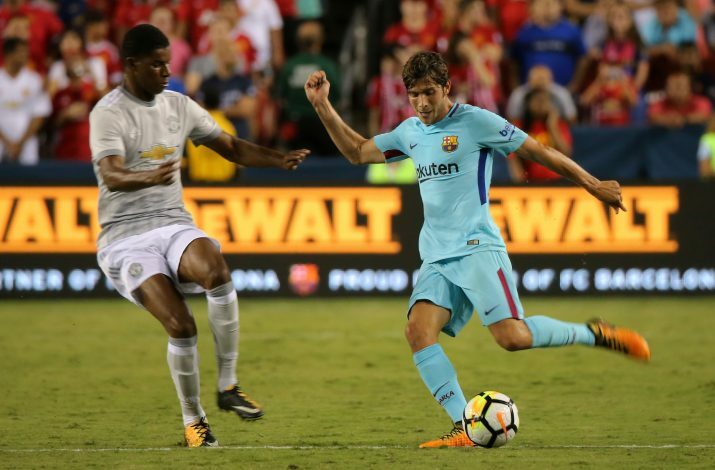 United’s no.19 fits that bill perfectly, and might even be interested in a move to the Spanish capital if it can guarantee him more game time. Rashford has stated on several occasions that he grew up idolizing Cristiano Ronaldo and Wayne Rooney. Having already played with the latter for two years at Old Trafford, a move to Madrid could see him form a frightening partnership with the Portuguese, who is also approaching the end of his career at 33 years of age. That would add even more value to Rashford’s transfer, considering the player could be at the club for well over a decade if he moves now.